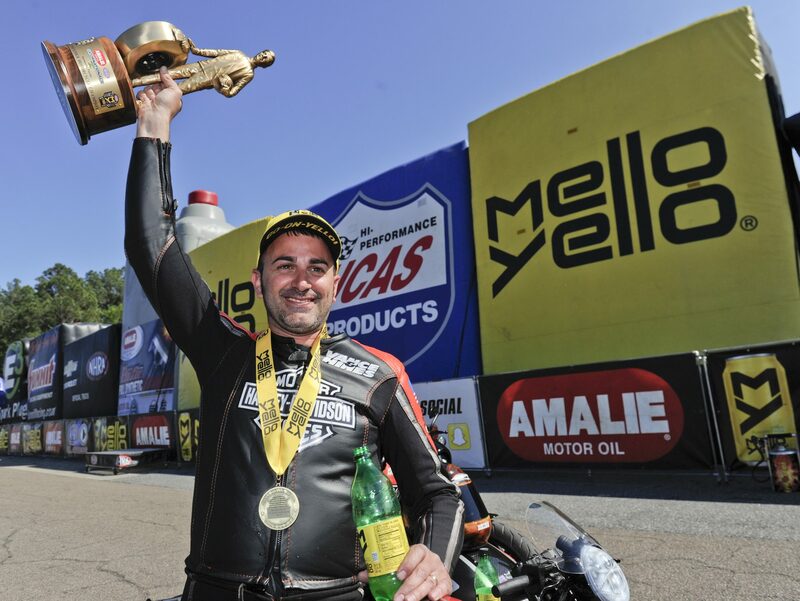 Defending world champion Eddie Krawiec rode his motorcycle to winner’s circle with a pass of 6.922 at 194.91 on his Screamin’ Eagles Vance & Hines Harley-Davidson. 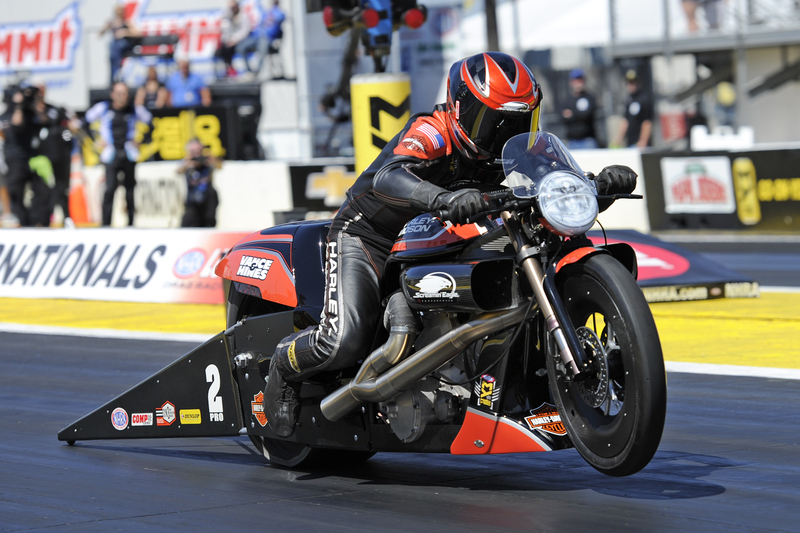 This is his fourth event victory at the NHRA Southern Nationals and 45th of his career. Krawiec was the No. 5 qualifier and was victorious against Angie Smith, LE Tonglet, the No. 1 qualifier Hector Arana Jr., and Scotty Pollacheck in the final round. QUARTERFINALS — Pollacheck, 6.896, 191.73 def. Arana, 6.923, 194.69; Sampey, 6.939, 193.18 def. SEMIFINALS — Pollacheck, 6.960, 191.16 def. Sampey, 6.978, 191.40; Krawiec, 6.871, 194.86 def. FINAL — Krawiec, 6.922, 194.91 def. Pollacheck, 6.958, 193.18.